John Dexheimer was born on 10 January 1866 in Sheboygan County, Wisconsin. Anton Dexheimer and Elisabetha Durking, appeared in the US federal census of 1 June 1870 in Rhine, Sheboygan County, Wisconsin. Other members of the household included John Dexheimer, Mary Dexheimer, Henry Dexheimer, Herman Dexheimer, Louise Dexheimer, Magdalena Dexheimer, William Dexheimer, Elisabeth Dexheimer, Anton Dexheimer and Henry Duerking. Anton Dexheimer and Elisabetha Durking appeared in the US federal census of 1 June 1880 in Rhine, Wisconsin. Other members of the household included John Dexheimer, Elisabeth Dexheimer, Anton Dexheimer and Edwin Dexheimer. 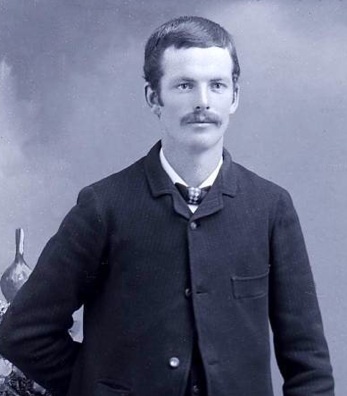 He married Helen Bethke, daughter of Christian Bethke and Wilhelmina Neuman, on 27 May 1893 in Rhine, Wisconsin, in a civil ceremony, witnessed by Fred Bethke, Edwin Dexheimer, Louise Karl and Bertha Karl. John Dexheimer and Helen Bethke appeared in the US federal census of 1 June 1900 in Sheboygan, Sheboygan County, Wisconsin, at 1121 Ontario Avenue.